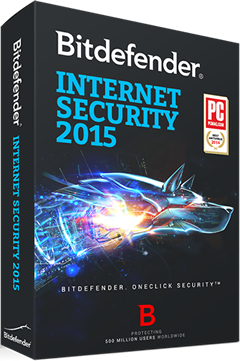 Save 30% on the new Bitdefender Internet Security 2015. Use coupon 30%OFF-PreOrder-BD2015 at checkout to automatically save 30% on the all new Internet Security 2015 at Bitdefender.com. This code is not automatically applied to your cart so you’ll need to copy and enter the above code exactly how it appears to get the savings. If you decide to order the 3-year-3-PC option, then you’ll not only save 30%, but you’re also getting a much better deal by buying the multi-year bundle together. Limited time promotion expires on April 30, 2016. Get up to 40% on Internet Security on sale at Amazon. We looked around to see which reseller has the best deals on Bitdefender this week and by far the best deals are at Amazon (ex=specially on the outgoing 2014 editions). You can now grab the standard version with a year of protection for up to 3 computers for just $30.00. This is a 40% savings (about $20.00) from the retail price of $49.95. See Amazon for details and today’s sale price. Existing customers save 30% when renewing. Exclusively available at Bitdefender.com, existing customers that had their license recently expire can get a renewal discount on any of the 2014 computer security versions. You will need to qualify by entering your existing license key into the verification box. It should be located in the registration page once you open your existing version of Internet Security (it will look something like this: C691982D32AF518F00FE). Then once verified, you’ll see the special renewal pricing that will save you up to 30% on your order, instantly! This is an ongoing offer available exclusively at Bitdefender.com. Get the free trial version of Bitdefender Internet Security. Wouldn’t you want to try it before you buy it? Well, just like most other computer software programs out there, Bitdefender is no different as they also offer 30 day free trials on all of their products. As long as you’re a new customer and haven’t downloaded their products before, then you select any of the new 2014 versions to test out. Be sure that you just deactivate any existing antivirus software if happen to be running any currently.